This species is restricted to a small area of land around the city of Manaus in Brazil, making it critically endangered. The species faces extinction as a result of urban expansion, agriculture and cattle ranching. 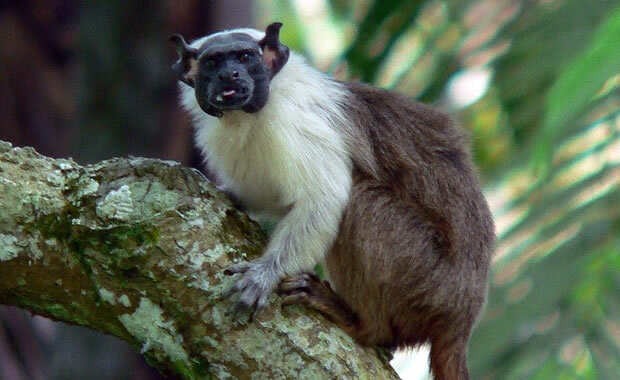 Also, another related species, the golden-handed tamarin, is competing with the pied tamarin in common areas.